Dear Jorge Dear Johanna A bit more than two years ago I met you first time. You saved me from a really bad situation. The local renting place I used to deal with,stopped working without telling the clients. After all the stress a family friend told me about FAST Rent a Car. You were so nice to bring the car to the house in San Ramón. I really appreciate this individual service. I have choosen you since two times more and will do it again in future. You are punctual in the airports when reciving the car or giving it back to you. Which is great to do it right in the departure and arrival zone. The cars are well equiped and economic in fuel. The rent is good price for value. Contact by Email is easy and answers are coming quick. And you are well reachable by phone in case of any emergencies. What else can I say than I am looking forward to my next holidays. Estimado Jorge Estimada Johanna Hace un poco mas que dos años una "paloma" de nombre Marvin me contó de FAST Rent a Car. Ustedes me salvaron de una situacion muy fea. Me quedé sin carro porqué la empresa dejó de trabajar sin avisar a los clientes. Después de unos dias de estrés fue como un premio que Ustedes me trajieron el carro hasta la casa en San Ramón. Estimo mucho su servicio individual. Desde entonces ya dos veces mas alquilé un carro con FAST Rent a Car y voy a hacerlo igual en el futuro. Me gusta que llegan punctual para traerme el carro y cuando lo devuelvo también, y que es posible hacerlo en la zona de salida y llegada. Los carros están bien cuidados y económicos en gasolina. El carro está bien equipado y el alquiler es pagable, vale la pena. Contactarles por correo electrónico está fácil y las respuestas llegan entre poco tiempo. En caso de emergencias es siempre posible llamarles. Làstima que ese año ya no me den vacaciones para regresar a Costa Rica pronto. Jorge and Joanna, We cannot thank you enough. Your service was over and above what we ever would have expected. The car was reliable and the GPS was the best money we spent on our entire 3 week tour. We drove from San Jose to Lake Arenal to San Ramon to Jaco to San Isidro and lots of stops in between. The Terios was just "the little engine that could" go just about anywhere. Meeting us at the airport took a lot of anxiety out of the trip for us as we do not speak Spanish and didn't have the first clue where we were going. You just made it all easy and we so appreciate that. We have already given your name to several people and hope to use your services again when we return to your beautiful country. Gracias, gracias, mucho gracias! I rented a vehicle from Jorge and Johanna in July 2013. What was a great experience dealing with them. Unlike the large car rentals, they are a family owned business, not out to get rich, only to earn an honest living to feed their family. Their friendliness, professionalism, and complete honesty in our dealings will not soon be forgotten. I would highly recommend Fast Rent A Car to everyone. Thank you very much Jorge and Johanna and may your business be a great success. Mucho Gracias. HAce unos años anduvimos por Costa Rica, un lugar increíble y lleno de gente hermosa; Jorge nos trató súper bien y amablemente, nos sentimos mmuuy agradecidos por el trato personal y profesionalmente; hoy le acabamos de recomendar la empresa a unos amigos que van para Costa Rica... y recordé que nunca te dimos las gracias por la atención, nueno, la mejor manera fue recomendarte; Gracias y pura Vida! I visit CR frequently. Renting a 4x4 car is important, especially if one goes off road in CR. Daihatsu Terios is very reliable car made by Toyota primarily for the Central American market. It has enough clearance to go over muddy areas and rough terrain without getting stuck. It has 4-wheel mode and almost 100 mph (compare it with other SUVs! ), which is what matters the most traveling from cost-to-cost in CR. Fast Rent a Car offers the best price in town. Their listed all-inclusive prices for low and high seasons don't have any hidden fees and by far better than any of the competition. Besides, one can drop off a car right at the airport before the flight, which is very convenient. On many occasions, I have had very pleasant experience and personalized service from fast Rent a car personal, particularly Jorge Rodriguez who is fluent in English and goes an extra mile, literally and figuratively for you in meeting your needs. Hello, We were in Costa Rica in 2010. Had some trouble at Hertz car-rent because of the high deposit and insurance costs.. But at the hotel; los volcanes, they had 2 choices of car rent flyers but we chose yours. No regrets at all! Everything was fine and after more then 2 weeks we returned your car at the airport! Everything nice on time! Good job! You asked us to recommend your car rent service and finally after 3 years, I do! When we return to Costa Rica we definitely rent a car by your company again! Hi Jorge and Johanna Thank you for making our vacation in February 2013 to Costa Rica, the best. You’re honest, friendly and reliable Fast Rent A Car service was unbelievable. Booking prior to our trip from Toronto, did have me a bit worried, until we meet Johanna at the Costa Rica airport with the car (Daihatsu) Wow!!! !…..It was like meeting with family. The car was in great shape and very clean. Oh…and I loved the color too. LOL!!! During our 7 day stay in Costa Rica we traveled many, many, many kilometers viewing your beautiful country. Through-out our entire trip, the car was very reliable. We had absolutely no problems and felt very safe. The GPS was definitely an asset and a must have. Thank you Jorge for suggesting it. The list of all-inclusives and write ups on your web-site are exactly what it says. There are no hidden clauses, fees or surprises at the end. We absolutely recommend Fast Rent A Car to everyone we know traveling to Costa Rica and we will definitely be in touch again, when we return. Thanks Fast Rent A Car, Jorge and Johanna, for the wonderful rental car experience. You really are the best!!!!! Cheers  until we meet again Wendy and Dennis J. We can't recommend this car service highly enough. Johanna is a thoroughly professional and fun, too! The car was awesome and got us out of some crazy places. We felt very lucky to have found this car rental company. I warmly recommend Fast. Not only did we get an excellent car for a good price in high season, but we were enchanted by the friendly service. Joanna was so kind, so helpful right away, bringing the car at out hotel 15 minutes ahead of time. And when I forgot my I Pad at the hotel on the last day, both Joanna and Jorge did their utmost to help, which was not really in the contract. They were at the airport to get the car back at the exact time, and all went fine for the final formalities. If I had to rate in the scale of 5 stars, I would give 6. Highly recommended. We rented a 4x4 from Joanna and Jorge (fast rent a car) in San Jose for a week and their service was excellent. No hidden charges. I'll definitely recommend them to my friends. Johanna and Jorge were amazing and I've already recommended FAST Car to my friends and others who will be visiting Costa Rica. First, the price was super competitive and coordinating via email was efficient and easy. Secondly, Johanna came with the car to our hotel in SJ exactly when she said she would, explained everything very clearly and looked over the car herself in great detail. Lastly, they came out within 10 minutes (no joke!) when we thought we had a mechanical problem. The service is outstanding and personal. We will rent with them again and again. Thank you! msg via facebook Great service and super helpful. Jorge was quick to respond to any emails and questions. His lovely staff dropped off and picked up our rental from our hotel so no airport headaches. The price he quoted was the price I paid, no hidden fees or last minute add ons. The car was great on gas mileage as well and I don't know what we would have done without the GPS. ¡¡Muchas gracias!! msg via facebook Great company, no hidden prices, car in good condition. I always try to rent from local companies to make a process simple and I think Fast Rent is the one you can trust + you can pick up/ drop off where you need saving taxi /public transport /airport charges. msg via facebook DO NOT RENT A CAR FROM ANY OTHER RENTAL CAR COMPANY!!! We were picked up at the airport and driven to our home in Atenas by Jorge. Then on the day of departure, he came to pick us up and then drove us back to the airport with plenty of time to spare before catching our return flight. NO HASSLES!!! What he quotes as your price is accurate with no hidden charges. We rented a cell phone and GPS. Jorge was available also 24/7 if you needed assistance with anything. My husband and I have rented from Jorge each time we have visited Costa Rica and have felt safe and relaxed. You will be glad if you do to. Good car easy to drive. Well maintained. Excellent service. We asked to give back the car at our residence, and not at the airport. No pb! Fast Rental Car provided us with a Rav 4 rental for the month of January 2016. The owners, Jorge and Joanna met us at the SJ airport at 7:00 am and treated us to their 5 star service. Joanna even drove us to the edge of the city to assist us on our way to Atenas. How classy is that! Look no further, FAST Car Rental can't be beat! We wrote a lengthy and very positive review on Googl. I want to post here as well to say thank you to Johanna & Jorge for the excellent service they provide. We'll be back in November and is so nice to know that we don't need to worry about our rental car needs:) If you need a car in Costa Rica and appreciate honesty, great service and excellent prices, then you have found the right place! (in French then in English) Merci beaucoup pour la qualité de votre service, pour la transparence de vos prix et pour le très bon rapport qualité/prix de votre prestation. Je recommande sans réserve la compagnie FAST. Au départ, nous étions un peu perplexes sur la location d'une voiture au Costa Rica, car les forums sont pleins d'anecdotes sur les compagnies peu recommandables et les majorations d'assurance très élevées qu'il faut payer sur place. Avec FAST, aucun problème. La communication avec Jorge pour réserver était claire et rapide. Joanna nous attendait à l'aéroport à notre arrivée, alors que notre avion était en retard. Nous avons récupéré la voiture sans délai et c'était bien le modèle que nous avions commandé. Enfin, Joanna et Jorge nous attendaient à l'aéroport pour notre départ et la remise de la voiture a été très facile. Merci encore à vous deux. Thank you very much for the quality of your service, for the transparency of your prices and the very good price/quality ratio of your service. I unreservedly recommend FAST. Initially we were a little confused about renting a car in Costa Rica because the forums are full of anecdotes about the disreputable companies and very high insurance surcharges that you have to pay on your arrival. With FAST, no problem. The communication with Jorge to book was clear and fast. Joanna was waiting at the airport when we arrived, although our plane was late. We got the car immediately and it was the model that we ordered. Finally, Joanna and Jorge were waiting at the airport for our departure and the return of the car was very easy. Thank you again to you both. We just got back from our vacation to Costa Rica. I want to say that it was a wonderful vacation. I want to thank Jorge for all his help through the whole reservation process. He was very professional and very helpful!! He Answered all my questions quickly and always helpful and professional. They brought the car to us at Atenas and upon delivering the rental , they took their time to go over everything thoroughly and helped us to get familiar with what to do in the area. I'm so glad to have found them. I highly recommend them and certainly will use them again when we return to beautiful Costa Rica ! Hello Jorge and Joanna - We wanted to write and thank you for the excellent service that you provided us on our recent trip (July/August 2016) to Costa Rica. We rented a Daihatsu Terios for three weeks and were extremely satisfied with the car and the service we received. It was wonderful to be met at the airport taking all of the anxiety out of our arrival and you explained everything very well. After reading the forums on the difficulty of renting cars in Costa Rica and the expense of mandatory insurance, your website took all of the mystery out of the insurance question. It was great to find a rental company that would allow us to use our credit card's CDW coverage (which thankfully we did not need). Thanks again for the excellent service. We highly recommend Fast Car and will definitely tell anyone we know going to Costa Rica that your price is competitive and your value for money is outstanding. !THIS IS THE ONE! Prior to our arrival, I did my research, checked prices, checked value, and came across FastCR. They had the best deals, but I hadn't heard of them before. I was apprehensive. After some email correspondence, I was convinced that there would be no hidden fees, and that this was a trust-worthy company. Our flights from SEA-SJO got rerouted, adding a 5 hour delay to our pickup time. In those airport flurries, I was unable to connect to WiFi and notify Johanna and Jorge. I thought for sure we had lost our vehicle and would need to re-evaluate transport after enduring the last 16 hours on a bad flight. Much to our amazement, Johanna was still at the airport, holding a sign with my name, ready to take me directly to our car. The car pickup was extremely convenient. The Bego we rented was in the airport parking. We explained our routes, and they didn't even blink that we were going to MonteVerde, a notoriously bad road. After paperwork and inspections, we were on our way driving to Baldi Hot Springs. This was a very welcome relief to have this go smoothly after a nasty flight. One of the first things I noticed, was that the Bego didn't have the power I was used to, compared to my Subaru back home. That's simply a property of the model and me not checking engine size. However, FastCR offered to drive the 6-hour round trip from San Jose to deliver a new car if we wanted. We refrained, but this gesture really made us feel welcome and like FastCR, Johanna, and Jorge care deeply for positive customer relations. On our last day in country, we drove from Puerto Viejo back to SJO, arriving late in the evening. I sent FastCR an email indicating we are back in the capital and ready to return our car. They came to my hotel at exactly the time I requested, did a quick inspection, and after exchanging some very amicable travel stories - they drove the car away. I am thoroughly impressed with my experience with Jorge, Johanna, and Fast CR. They have the best price, the car was reliable, there are no hidden fees, they waited extra long at the airport for us, were friendly, and wanted to ensure we thoroughly enjoyed our trip in Costa Rica. I truly cannot recommend them highly enough. This is truly who you should consider for your car rental needs in Costa Rica. 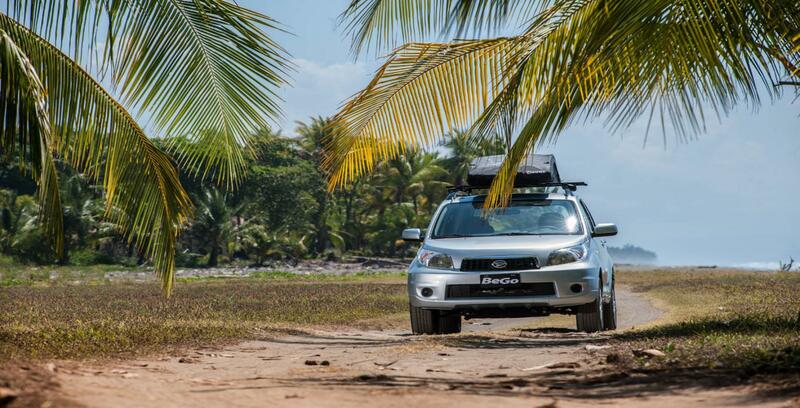 We are frequent visitor to Costa Rica and often rent cars to travel to our destination. We have rented cars elswhere and we were not aware of the mandatory insurances on top of the daily price. A friend in Costa Rica recommended that we give FAST rent a car a try. We visited Dec 26, 2016 to Jan 2, 2017. Our experience with FAST rent a car was great. Johanna met us at our hotel in San Jose and delivered the car a promised and explained the mandatory insurance to use that it is included in the price of the car. I will definitely use FAST rent a car in the future and I have recommended them to other travelers. Working with Jorge and Johanna was a great experience and when we returned our car at the San Jose airport Johanna met us to return our credit card deposit . Great company to work with. Fast Rent A Car is my regular "go to" for rental vehicles in Costa Rica. Jorge and Johanna have made each rental easy and simple. I see stories of other car rental places being shady and unprofessional, but that is not the case with Fast Rent A Car. Direct "Up Front" all inclusive pricing and honest helpful service (Jorge even made last minute hotel reservations for me when I wasn't sure of a convenient place to stay by SJO). The Daihatsu "Bego" was reliable and comfortable transportation for over two weeks of driving around CR, and it was great knowing that I was well insured and they were there to help if I needed anything! I rarely write reviews, but I can fully recommend the fine service and professionalism of Fast Rent A Car, and will be continuing to use them for my car rentals on return trips! Thanks especially to Jorge and Johanna! Pura Vida! My family and I have been extremely fortunate to find you. Your honesty, integrity, service and kindness are truly wonderful. We look forward to seeing you again many times in future visits to beautiful Costa Rica. . Wishing you all the very best in health, peace and prosperity until we meet again. Yes, absolutely No hidden charge! Not only 4x4, even wifi was so reasonable and it was a really huge help for our trip. I am so happy that I chose this genuine company for our car rental. Thank you Jorge! When we go back to Costa Rica, we will definitely get back to you! All the best. ** La fecha de recogida no debe ser inferior a 25-04-2019. ** El visitante puede reservar un coche mínimo para 3 & Máximo para 90 Días.